Attorney Tristan C. Robinson is Local Counsel in Texas to our BitTorrent Copyright Defense Group. Tristan is licensed in the State of Texas and is admitted to the United States District Court for the Southern District of Texas. He holds office with the Texas Entertainment and Sports Law Section of his State Bar, volunteers to the Texas Accountants and Lawyers for the Arts, and has spoken at seminars on the subjects of Copyright and Entertainment Law. 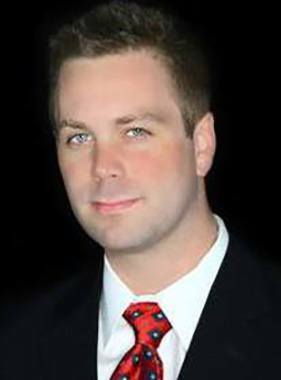 After receiving his undergraduate degree from Texas State University, Tristan studied law at both Temple Law School in Tokyo, Japan, and Texas Wesleyan University School of Law where he obtained his Juris Doctor. A musician with a passion for all manner of artistic works, Tristan devoted his time in law school to the study of Intellectual Property Law and the protection of creativity. Since law school, he has represented musicians, actors, film production companies, start-up businesses, game developers, artists, and authors. In addition, Tristan also has also litigated various general civil matters, resolved Internet-related DMCA and IP claims, and continues to stand up against Copyright trolling and other misuses of the protections afforded creative works.